Loveall News! : The Cruise is just days away! The Cruise is just days away! For Christmas this year my Mom and Tom have decided to take the kids on a family cruise but we are doing it in June! 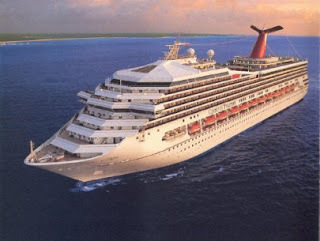 Tom has been working hard to get things set up and he has booked the family on a 7 day cruise to the Western Caribbean. We leave on June 10th and return on June 17th. We will be visiting Grand Cayman, Belize, Costa Maya and Roatan (in Honduras). Matt and I could not be more excited. This is a much needed vacation for us. We are excited to get away, be in the SUN and hang out with our family. The count down is on...only 19 days until the cruise! This sounds like an awesome trip, Emily! I hope you guys have a wonderful time! I know I am SO excited! Thanks for the comment! Okay I think I might try to stowaway on your ship!!! You think anyone would miss me?? LOL!! Have an Awesome time!! We will miss you. I'm sooooo excited for you guys, Emily! It's gonna be awesome, I'm sure! We're going to miss you, though. But, hey, we'll share you with your family if we have to. Love you!